Have I mentioned that I am in possession of living culinary matter, matter that demands nurturing and care, also known as sourdough starter? I know I have mentioned my husband’s love of bread, and that is what led me to give him the starter as a birthday gift years ago. That same starter survives today, supplying tang to our breads, pizza doughs, and waffles, and this time, our cake. The care I’m referring to is the regular “feeding.” Sourdough starter is kept in best tip-top shape by feeding it every week with some new flour and water. First, you dispose of, or use, 1 cup. And I will confess that we probably dispose of that cup more than 50% of the time, especially since many recipes call for FED starter. 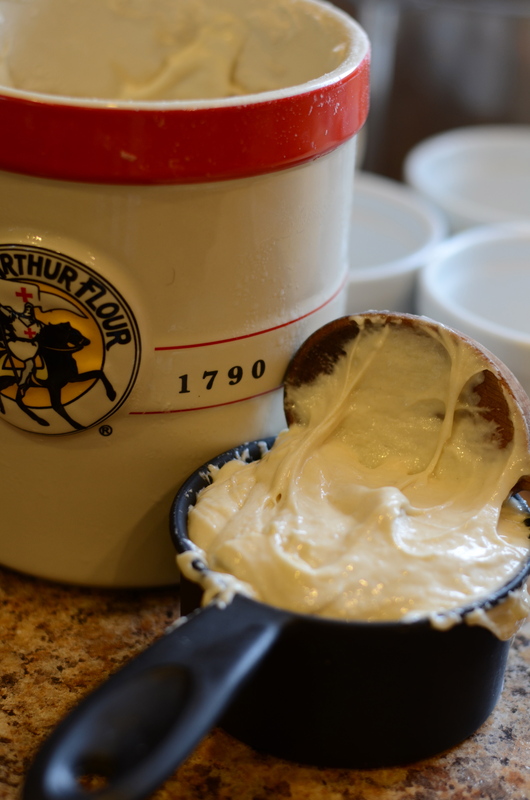 The latest King Arthur Flour catalog arrived, and one of the recipes that caught my eye was the Sourdough Carrot Cake that used UNFED starter! This recipe is a great example of my ability to cook my pantry with the addition of very few specially purchased grocery items. This time, that special item was crushed pineapple. 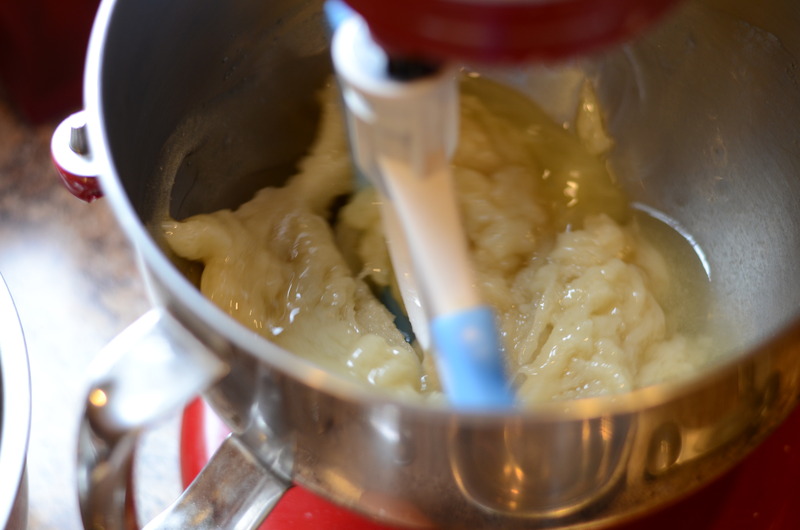 I followed this recipe almost exactly–I was surprised by how much oil it called for considering the pineapple added so much moisture, so I think I put in a smidge less oil than it called for, which I modify in the version below. This does make a generous amount of cake. It could also be served in a more bread-like form, similar to zucchini of banana bread. It would make at least two loaves. 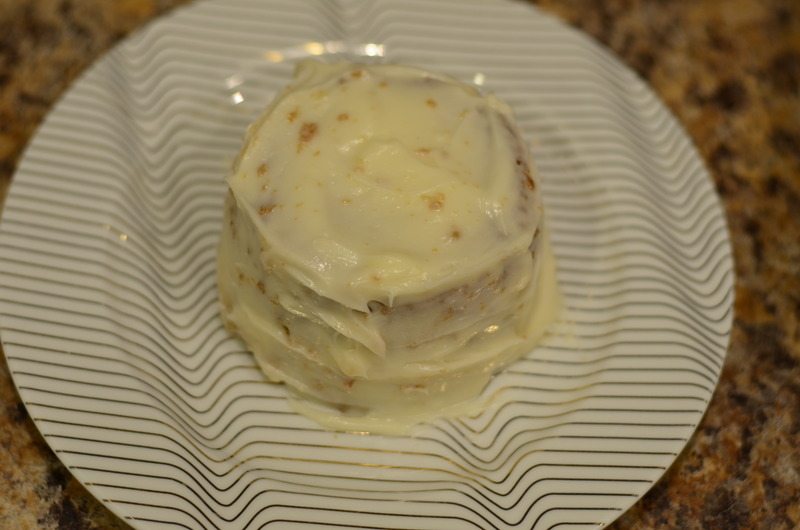 I completely eyeballed volumes with the various containers I used in an attempt to make cute little layer cakes. My output was the six ramekins (which puffed up) plus a full loaf pan. 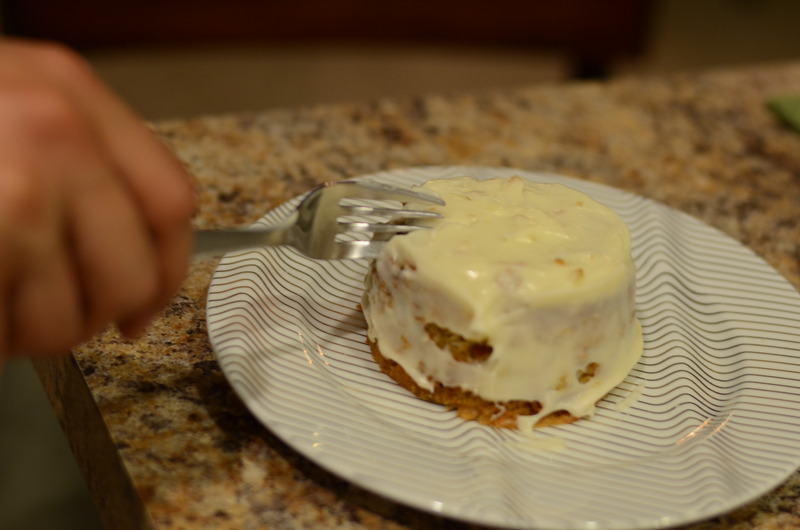 Bonus: I ended up with little carrot cake cookies, when I sliced the top off these! 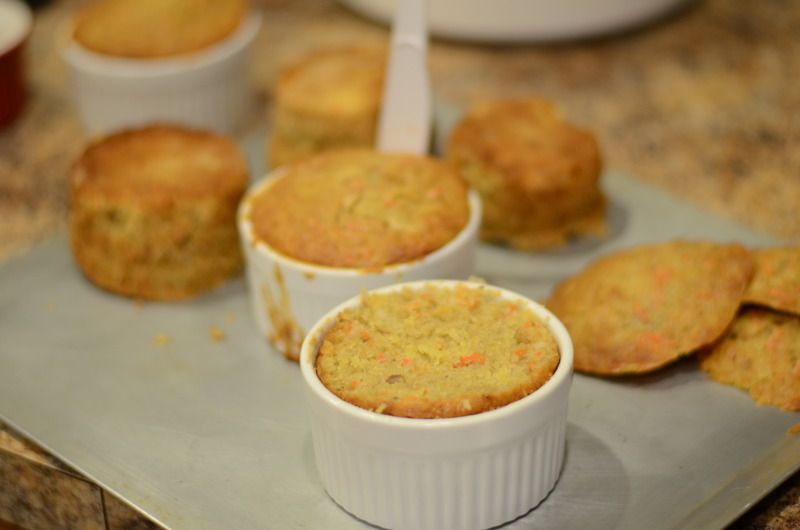 Grease desired baking pans – suggested single size is 9 x 13-inch – and sprinkle with flour. Set aside. Combine oil and sugar, and stir in sourdough starter. Mix in eggs, one at a time, beating well after each. 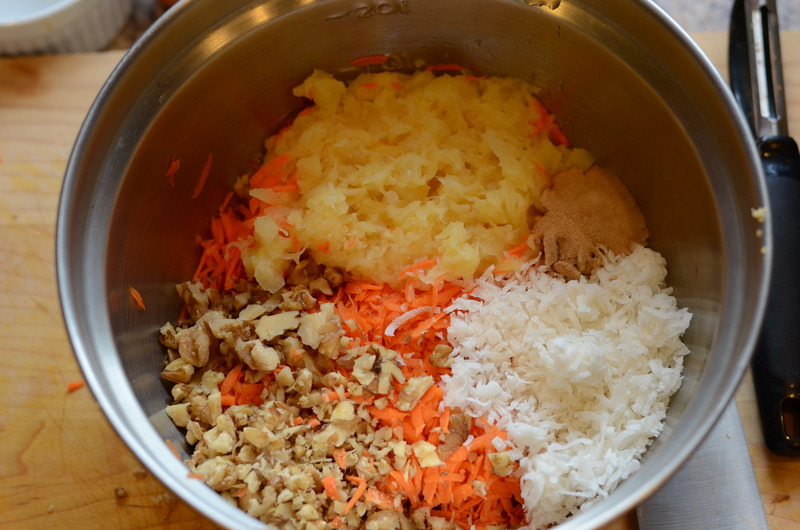 Fold in pineapple, carrots, walnuts, coconut and vanilla. I was feeling lazy and used the food processor. 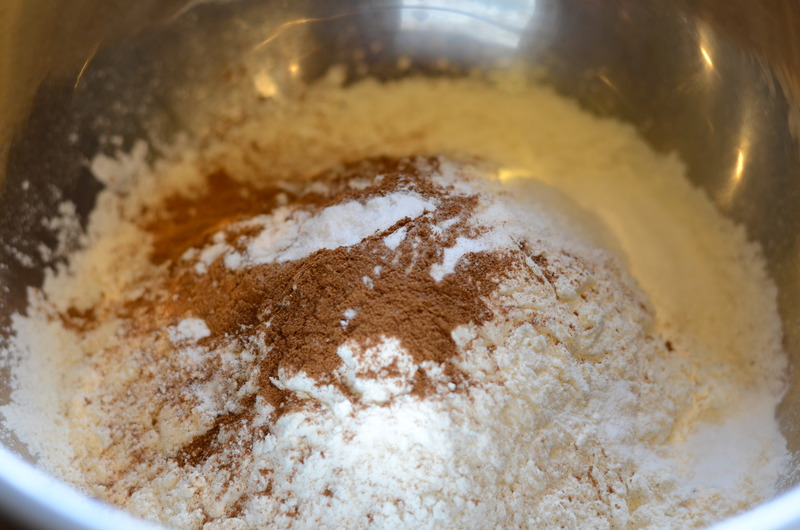 In a separate bowl, combine flour, cinnamon, salt and baking soda. Add dry ingredients to wet ingredients, stirring just to combine. 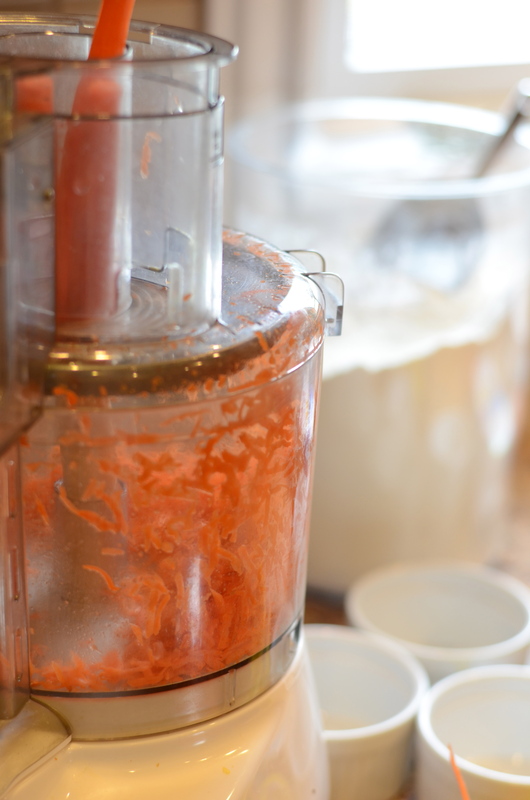 I tried to capture the whir of the KitchenAId with my camera…haven’t quite figured it out. Spoon batter into pan. Bake in a preheated 350°F oven for 45 minutes, or until a toothpick or cake tester comes out clean. Remove cake from oven and cool completely before frosting. *The frosting made the cake totally decadent, but I don’t think it is necessary. Feel free to half the below recipe, to incorporate with some but not all of the cake. Combine butter, cream cheese and vanilla; beat until light and fluffy. Add sugar gradually, beating well. Add milk, a little at a time, until frosting is a spreadable consistency. Perhaps this recipe is irrelevant to you because you don’t have sourdough starter! Well, if you’re interested (and local), I’d be happy to get some of my starter in your hands. 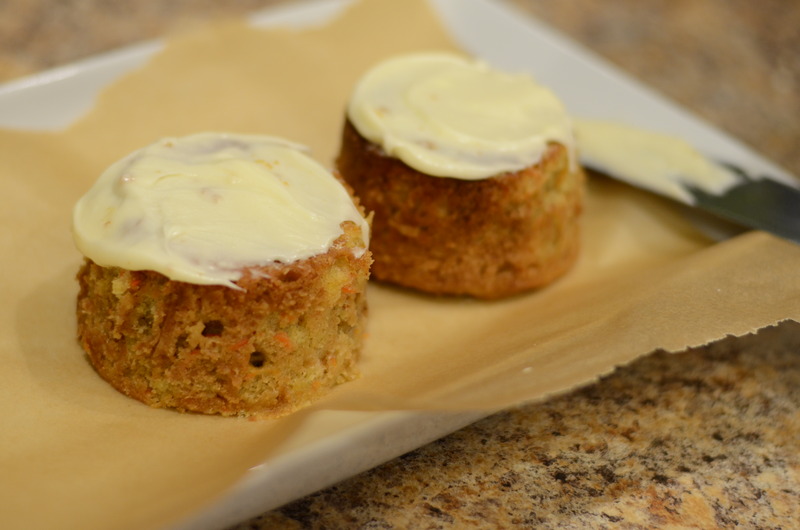 If you’re not interested in taking on such responsibility, King Arthur Flour has another similar, highly-rated carrot cake recipe. This entry was posted in Dessert, Recipes, Uncategorized and tagged cake, carrots, shredded coconut. Bookmark the permalink. The little cakes look very cute, the girls would love them!